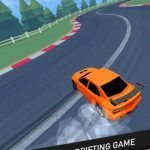 Rush Digital Interactive has just released Top Gear: Drift Legends for iOS devices (iPhone and iPad), and it’s apparently an official licensed product of the popular automotive TV show. On the other hand, the game is a reboot of “mobile’s hottest drift game series” Drift Legends, but with Top Gear’s endorsement and official license. You can choose from two difficulty modes – Arcade for rookies and Sim for those who have been playing for a while, or simply want to experience a more realistic drifting experience. 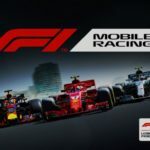 And as for the game’s other features, it boasts of five countries and 25 tracks for Season Mode, iconic cars previously featured on Top Gear, and the ability to top your personal best by racing against a ghost car representing your previous best score. Drifting is fun, but striving to become the ultimate “drift king” takes a lot of hard work. Now, with our collection of Top Gear: Drift Legends tips and tricks you can get there faster, especially if you’re still a novice to mobile drifting games. Drifting can be a challenging task in the world of video games, and sometimes you’ll just have a hellish time controlling your car. But if you keep your “foot” on the gas pedal while drifting, your car should become easier to control. Step on the gas while you’re drifting in your car and you just might be able to make it through those tight turns without losing control of your car. 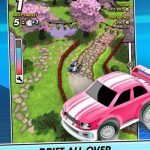 In order to make things easier for players, many racing games with drift mode take care of the dirty work for you; they automatically tune your car in many cases so that drifting feels almost instinctive on your end. But Drift Legends is a different kind of racing game; its physics are quite realistic and if you’re in Sim mode, the kid gloves are off. It’s up to you to master the controls and get your drifting down pat. So how do you deal with the do-it-yourself physics of Drift Legends? It’s a good idea to practice steering away from the turn’s apex before the rear end of your car hits a barrier. Mastering this trick, which may take some time, does pay off in the end by improving your angle and helping you pull off perfect drifts once you become good at it. The game comes with 25 courses, as we mentioned above, and it would be in your best interests to memorize them to the best of your capability. To make things easier for you, Drift Legends comes with a map in the top corner of the screen, but there’s nothing like drifting in a course several times so that every turn and every nuance in the track becomes familiar to you. In other words, it all boils down to practice and familiarity when it comes to mastering the different courses in Drift Legends. This would be for now our compilation of tips and hints for Top Gear: Drift Legends. We will update this guide, once we come up with more tips, so be sure to check back from time to time!